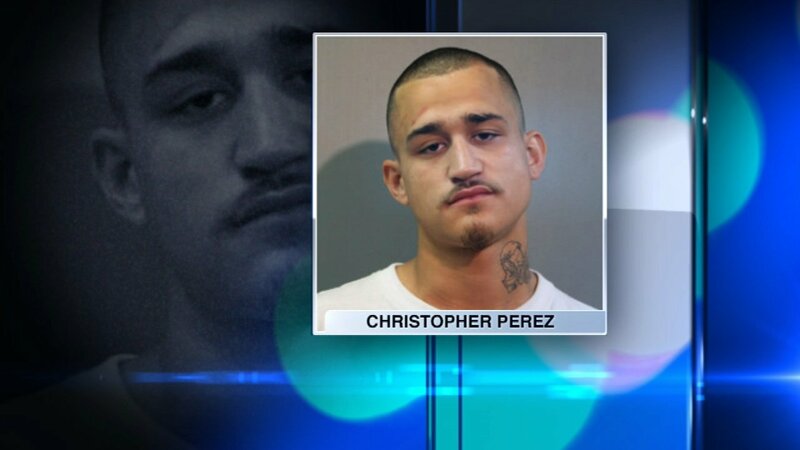 CHICAGO (WLS) -- A 23-year-old man was charged Monday in the break-in of an elderly couple's home on Chicago's Northwest Side, police said. Christopher Perez, of Chicago, allegedly climbed into the couple's residence through a back window in the 5100-block of West Wellington Avenue at about 1:19 a.m. Saturday. He approached the husband and implied he had a weapon. The husband and wife, both in their 80s, were forced to hand over a checkbook, jewelry and wallet with $30 after the suspect climb, police said. No injuries were reported. Victim Stanley Markowski said the robber told him, "I'm looking for drugs, gold, money and if you have a gun and I find that gun, I'm going to shoot you, you and your wife." Hours later at 9:30 a.m., police observed Perez acting suspiciously in the 4700-block of West Barry Avenue, ducking behind a car and tossing a black object on the ground, police said. The officer discovered that the black pouch that he tossed contained several pieces of jewelry. Police suspected that the pieces were stolen and arrested Perez. It was later determined that the jewelry was taken from the Wellington Avenue home. The break-in was the latest of four break-ins in the Belmont Cragin neighborhood, but it was immediately unclear if Perez has been linked to the others. One couple was beaten and robbed in their home in the 5400-block of West Henderson Street Thursday night. Police said two masked men attacked Robert and Joan Ott until they bled. On Tuesday, 78-year-old Patricia Dema was hit in the face and robbed in her home in the 800-block of West Nelson Street. On May 19, police said a 78-year-old woman was beaten during home invasion took place in the 4100-block of North Avers Avenue. Anyone with information is asked to contact Area North Detectives at (312) 744-8263. An elderly couple was robbed early Saturday in the city's Belmont Cragin neighborhood.